No matter how much of a do-it-yourselfer you may profess to be, there are some issues around the house that even you shouldn’t try fixing. One of those problems that every homeowner dreads is water damage. Dealing with water damage in your home is often an overwhelming problem to solve. It’s a disaster that, while often unexpected, usually leads to expensive consequences. That’s why a trusted professional must be brought in to fix this frustrating issue. But who do you call? How do you know you are trusting the right company to fix the issues correctly and quickly? Here are a few tips to consider before hiring a professional contractor to repair severe water damage in your property. Some water damage repairs company carefully consider what jobs to take, and the weather often makes a big impact on which sites they choose to fix. For example, if there has been an extensive presence of heavy rain, or if that rain falls sideways, that is all the reason some companies need to refuse to work on certain sites. You need to hire a contractor that can expertly repair any water damage, regardless of the cause, immediately and correctly. That may seem like strange criteria when you are pricing and researching water damage repair companies. But we firmly believe that you can either be okay at performing a lot of tasks, or you can be an expert in performing one or two tasks. The contractors they say that they are good at every possible repair are often too good to be true. Not to mention, full-service companies have an incentive to replace rather than repair, which means more money out of your pocket. Check the internet. Yelp, Angie’s List, Google, and the Better Business Bureau will have reviews and testimonies reflecting the work and quality of the company you are researching. A company that has good reviews usually deserves them and, when things go wrong, will work harder to correct those hiccups to preserve their reputation. Ask the company if they do “program work” for your insurance company. “Program work” is when the insurance company makes a deal with the restoration company to have them do it their way. The restoration company then works for the insurance company instead of the insured party. While this isn’t necessarily a dealbreaker, sometimes you get a better job from a company that isn’t beholden to the insurance company. When things like carpet pads, drywall, and cabinets are removed, the company must have a contractor’s license. Contractor’s licenses don’t always match the name of the business, so ask the company for the license number. That way, you can look it up on the Contractor State License Board. You can even request the company to send you a certificate of proof that they have workman’s compensation and liability insurance. It’s understandable to become initially overwhelmed when you discover water damage has negatively impacted your home or business. But there’s no need to panic; you are in capable hands when you hire the experienced, well-trained team at Water Damage Recovery. 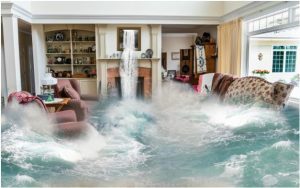 We understand that water damage to your home or business turns your already chaotic and stressful life upside down, and we will do whatever it takes to quickly turn your life right-side up again. To schedule an appointment, call 510.351.7510 or click here.